The legal complaint was filed Thursday with the US District Court in New York over an “incalculable damages” that were caused, Reuters reports. The plaintiffs claim that even if any reparation will be paid to Namibia, there’s no guarantee of any compensation to the victims. “There is no assurance that any of the proposed foreign aid by Germany will actually reach or assist the minority indigenous communities that were directly harmed,” the descendants’ lawyer Ken McCallion wrote in an email as quoted by Reuters. The exact amount of proposed financial compensation for the plaintiffs has not been published by the news agency. Those who survived, were later placed into the concentration camps, viewed by some historians as a prototype for the similar facilities to exterminate the Jewish population by the Nazi Germany during the Word War Two. Many of the prisoners there died of dehydration and starvation. 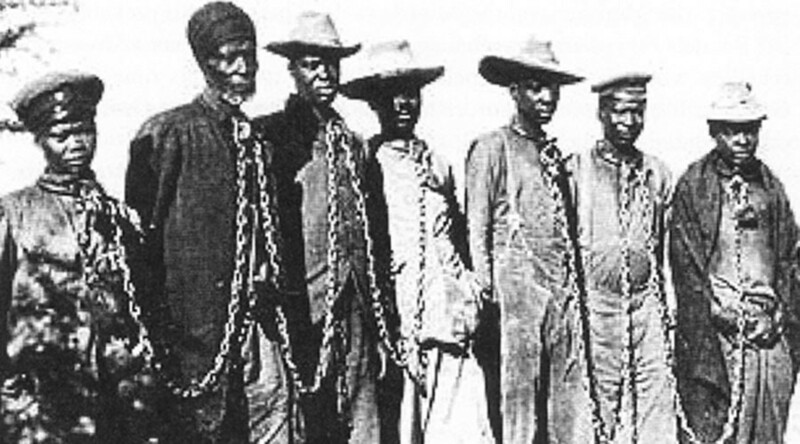 The mass killing of Herero and Nama is regarded as the first genocide of the past century. While Germany has long resisted using the term when referring to the colonial period, the government issued a guideline referring to the slaughter in Namibia as “genocide” in July last year. However, there’s still no definitive resolution by the German parliament which officially recognizes the slaughter as a genocide, as is the case of the mass killings of Armenians by the Ottoman Empire which preceded the Turkish nation. Since 2012, Germany and Namibia have been engaged in intense dialogue to hammer out an agreement for an official apology from Berlin and a potential financial settlement from Germany. The initial plan was to reach consensus by the end of 2016, however, negotiations are still underway. Late December, German chief representative at the talks with Namibia,Ruprecht Polenz, stressed that acknowledging the slaughter as genocide does not automatically put an obligation on Berlin for reparation payments. “According to the view of the [German] Federal Government, the use of the term 'genocide' does not imply any legal obligation, but rather political and moral obligations to heal the wounds,” Polenz told Deutsche Welle (DW). “[It implies] no legal obligation on reparations. We stand with this view,” he stressed. In November last year, Namibia’s Vice Land Minister lashed out at the German position. “It shows that black lives are worth nothing,” Bernadus Swartbooi told DW. However, Germany has not officially rejected any potential payments to Namibia, with reports saying such an option is still on the table.